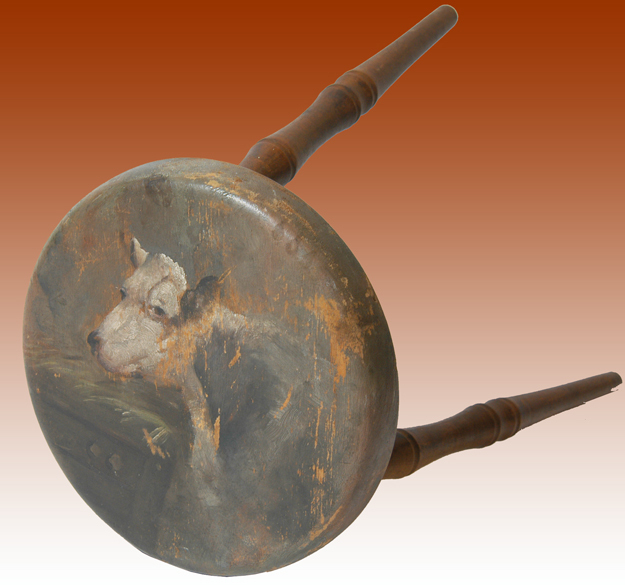 American late 19th century 3-legged Windsor milking stool with bamboo turnings and a magnificent folk art painting of a cow eating in her barn stall. 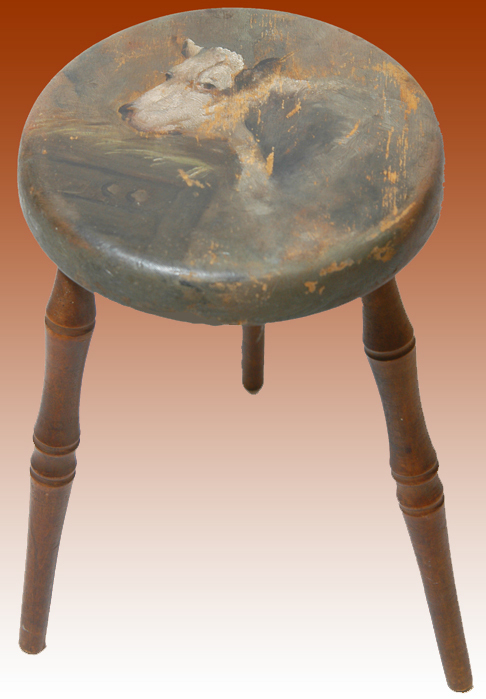 The stool and painting are both from the last quarter of the 19th century. 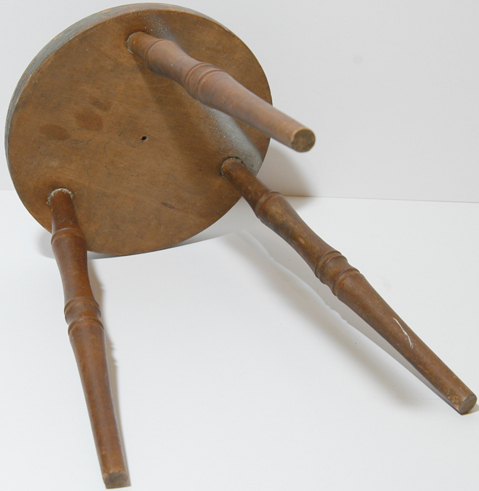 8 ¾” diameter seat x 14” tall. 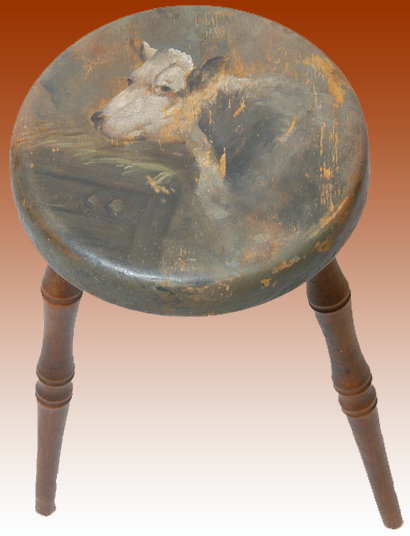 Could you ask for a better folk art stool? 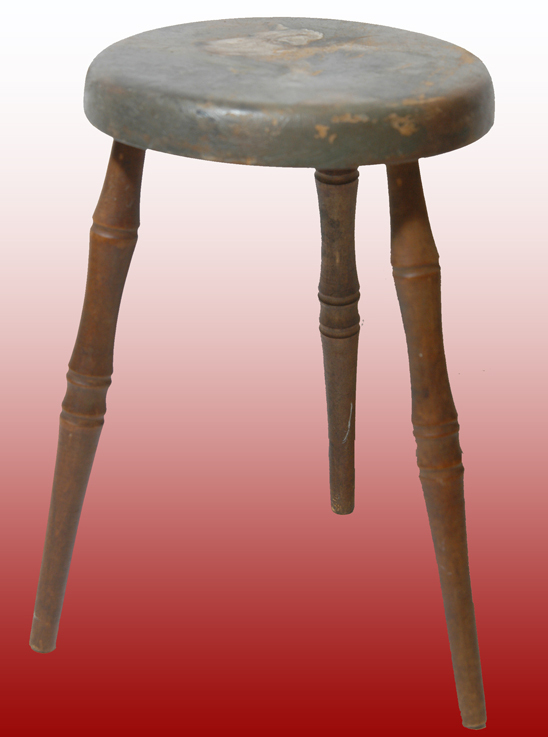 Please see our History of Footstools or Crickets page for more information.